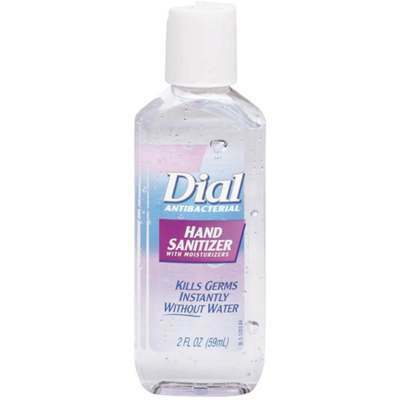 Dial hand sanitizer kills over 99.99\% of harmful germs in 15 seconds. No soap, water, or towels needed. Use whenever you are on the go and to supplement hand washing to kill bacteria that can potentially cause disease. Contains moisturizers and a light, fresh scent. Leaves no harmful residue. Dermatologist tested. Hypoallergenic.